There is a new buzz in town; a pizzeria that serves the latest food craze to hit Cebu—the classic neapolitan-style lean dough pizza. 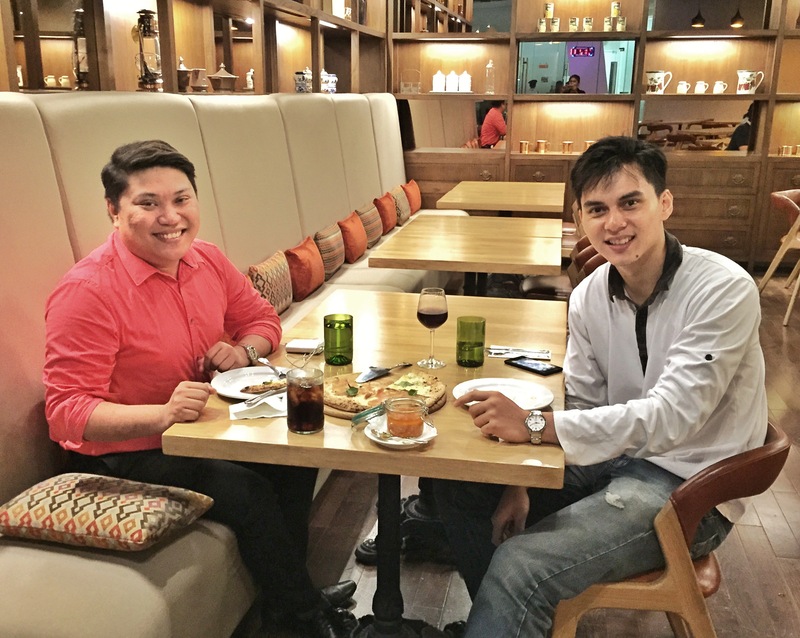 While still on its soft opening La Nostra Pizzeria Napoletana continues to draw curious crowds and A-listers to try its good Italian stuff prepared by, no less than, italian chefs themselves. A neapolitan pizza is a classic pizza in its simplest form. It is made from a lean dough: a mixture of flour, water, salt, and yeast. It has no oil, no sugar, nothing. The flour is generally a high-protein flour, often of the Italian “OO” type. Simple and few ingredients but complicated preparations —the slightest mishandling of the wood-fired modern brick oven that should be kept at blazing hot temperature would mean adverse impact on the product. La Nostra had already got the hang of it. It was rather a quiet Wednesday night —maybe because of the gloom and drizzles —when we visited La Nostra. An hour before they will close at 11:00 PM, 3 out of the approximately 12 tables were occupied. The menu is straight forward with 5 courses: pizze (P480 – P560), pasta (P210 – P350), main dish (P350 – P440), desserts/gelato and drinks. It is limited, they explained, because they are still on their soft open. Some items, like the star pizza, are not even on the menu but you may ask the servers for their availability. Our order came fast in less than 15 minutes —a surprise for us since most friends who already tried La Nostra were complaining about the waiting time. Pizza was delivered at the right temperature and the wine was poured on time. We had Pizza La Nostra (P520/2) half ‘n’ half with Quattro Formaggi (P550/2), Pizza Nutella(P260) and a glass of wine. I was from a meeting an hour ago where I had to eat, hence, I was very conservative with my order. La Nostra literally means “ours” while Quattro Formaggi means “four cheese”. Pizza La Nostra is the house’ very own creation. 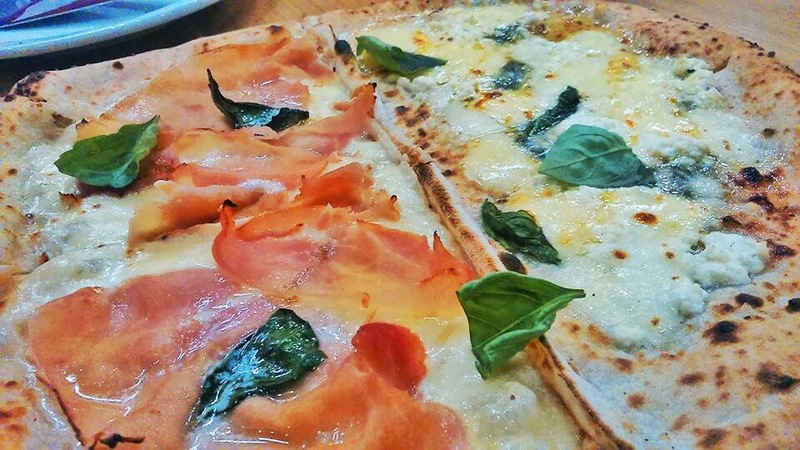 Ham, butter and basil with Flor di Latte and cream sauce on top the Neapolitan-style pizza lean dough. Four cheese is a combination of flor di latte, gorgonzola, ricotta and asiago with olive oil. Their pizza came thin (but not very thin) spotted with small dark spots surrounded by paler dough —it must have been from a good charring in the oven— with an aroma distinct to a classic pizza. It was crispy on the outer crust but was moist and chewy on the interior. 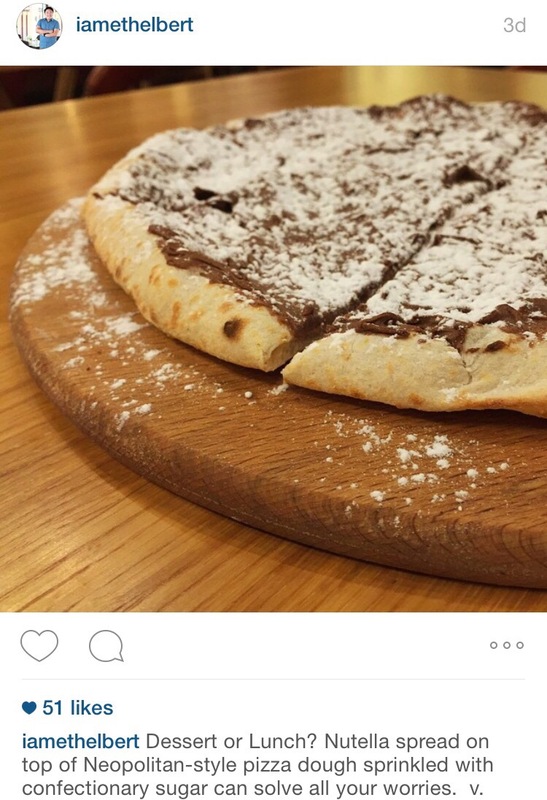 The flavor of the dough compliments the toppings either the ham or the Nutella. Everything we ordered was perfect. 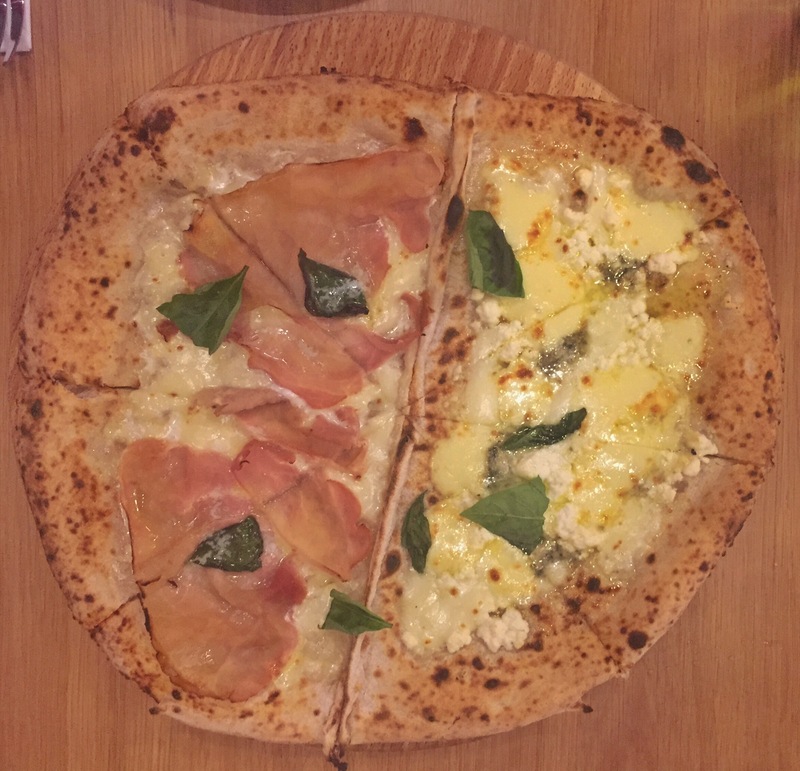 The Ham was great and excellent with the basil —no wonder La Nostra Pizza is their best seller. I will definitely come back for the Ham. 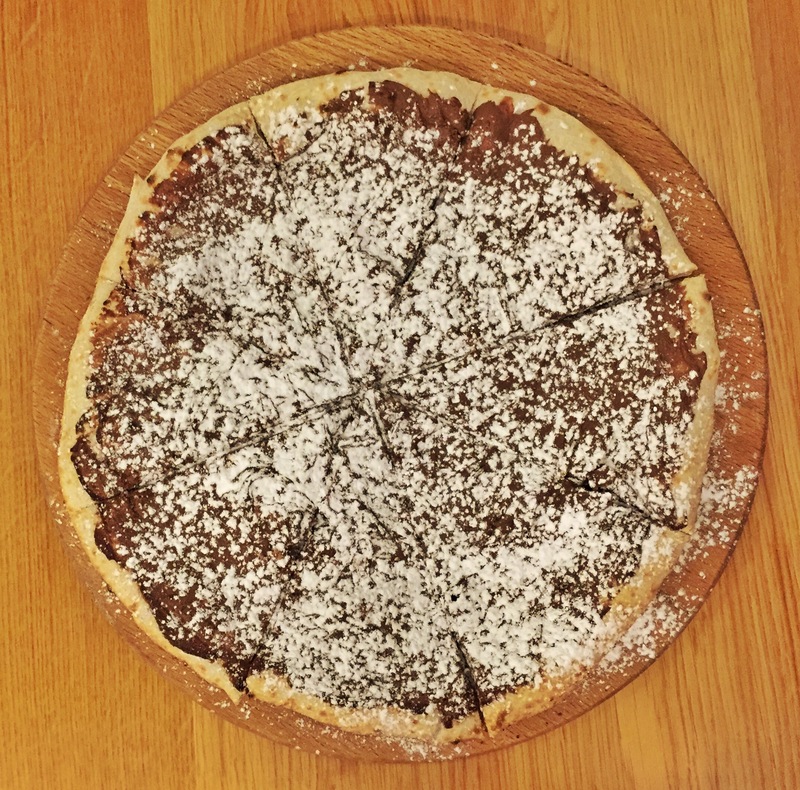 And, of course, you can’t go wrong with Nutella. Just by its name, it’s already instagram worthy. La Nostra Pizzeria Napoletana is located at Streetscape, Paseo Saturnino, Ma. Luisa Road, Banilad, Cebu City. They are open on Tuesday to Sunday for lunch and dinner. For reservation, you may call (032) 3507872.